After making this Cinnamony Snickerdoodle Smoothie a few weeks ago, I told you I would come up with a recipe for Snickerdoodle bites…so here it is! 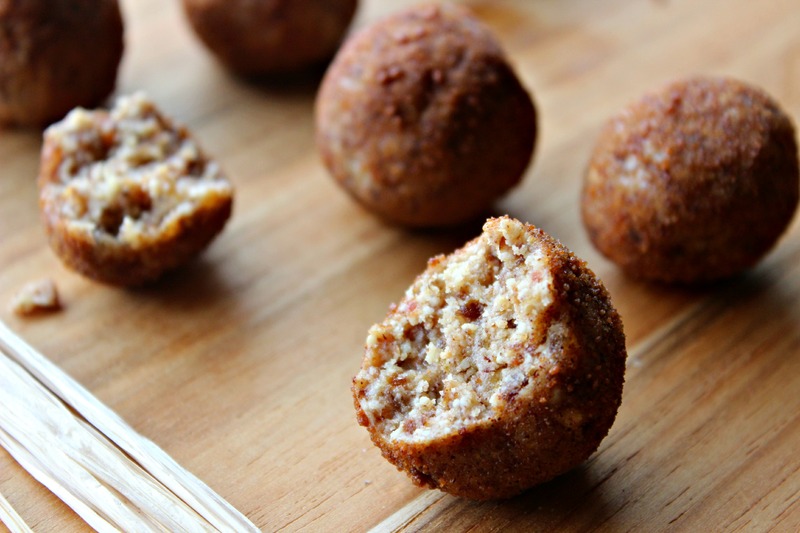 These little treats comes together in about 10 minutes and are great to make with your kids. 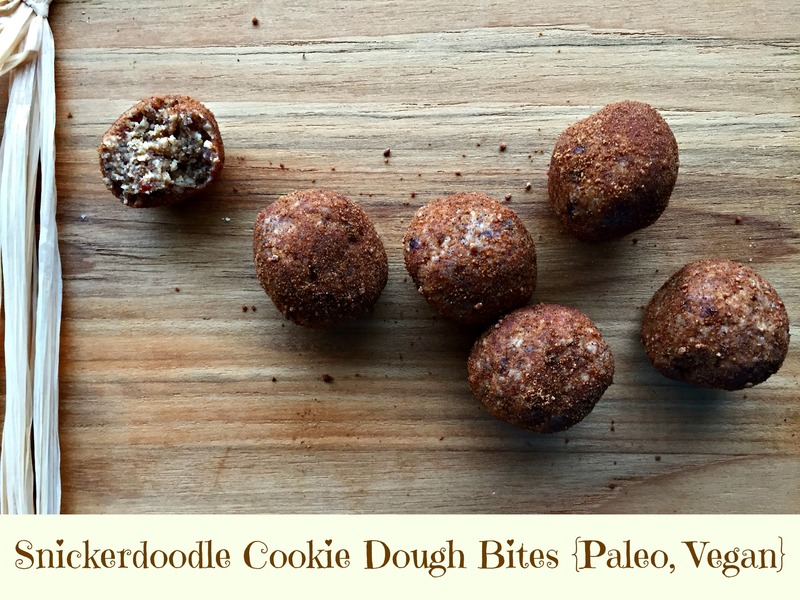 I was able to recreate the chewy texture and cinnamon-sugar flavor of traditional Snickerdoodle cookies without using refined sugar or flour. The key is using blanched almonds. I bought mine at Trader Joe’s and dumped the whole bag in the food processor to grind them up until they reached a fine almond meal. You can also just use blanched almond meal if you have it, but the method I used is the cheaper way to go. These bite-sized treats make a great dessert or after school snack. 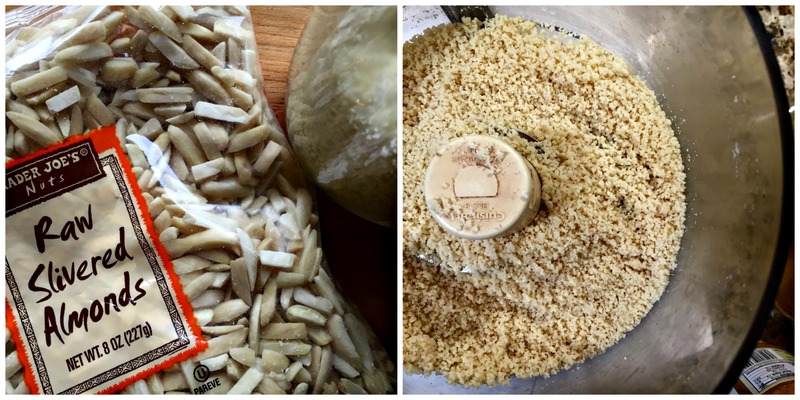 Put almonds in a food processor and process until it reaches a fine consistency and no chunks of almond remain. Add dates, almond butter, salt, vanilla, and cinnamon and process until everything is combined, about 60 seconds. Shape dough into small balls (press between your hands, so they stick together) and roll in the cinnamon-sugar coating. Store in the refrigerator. *If dates are not soft, soak them in warm water for 15-20 minutes and drain them, squeezing out excess water before adding them to the food processor. I have made these twice already and every single person asks for the recipe 🙂 Thanks Rachel! Keep on rocking!! Oh yay! I’m so glad you and your friends like then Jessee! Let me know if you have any recipe or food question requests 🙂 I’m posting a pizza hummus recipe tomorrow!